Seconds after Tiger Woods tapped in for a historic and heartwarming victory in The Masters, the phones started ringing at golf venues throughout Oklahoma. Maggie Roller, director of instruction at Cedar Ridge Country Club, had eight calls in an hour looking for lessons. Bailey Ranch in Owasso was flooded with calls asking if the range was open or tee times were available. The Par-3 Course at LaFortune Park filled up with more than 100 players from 2 p.m. on. Tulsa and Oklahoma City public courses had more than double the number of players who had booked tee times. Woods, by overcoming so much and by letting his guard down, touched and inspired millions. The former imperious and remote emperor of golf showed raw emotion and family joy that everyone can relate to. 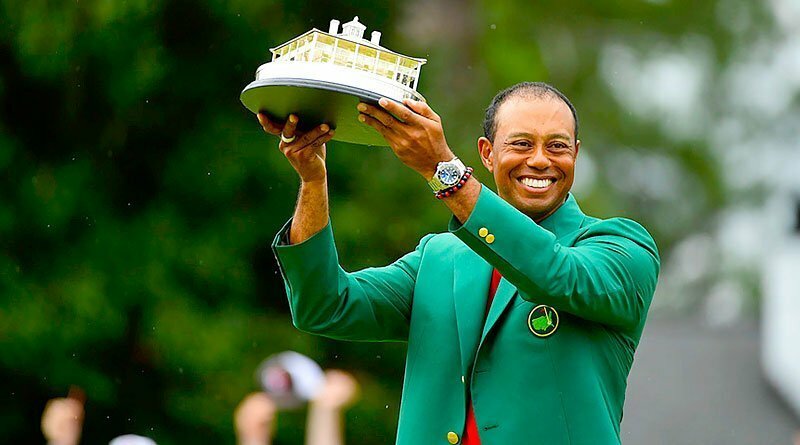 Now the question becomes, how much of his comeback is a personal story all about Woods and how much can golf benefit as the vehicle for his transformative victory? Can the game benefit along with Woods, his equipment companies, other sponsors and PGA Tour players? Without golf itself, there would be no Tiger Woods legend, or Jack Nicklaus, Arnold Palmer, Ben Hogan and on and on. For all those who point to Woods as the driver of golf as an industry, note that play at public courses actually declined substantially during his heyday and that the huge benefits he brought in terms of sponsorships and television dollars for PGA Tour players didn’t necessarily translate to the health of the industry at the ground level. Play at public courses peaked in the late 1990s and was heading down before the stock market crash of 2008 accelerated the decline. Roller watched in tears as Woods finished off the epic Masters win for this 15th major. She had spent Sunday through Friday at The Masters, spending part of every day just a few feet from the first tee, where she saw evidence each day of a new Tiger that was more open and willing to make eye contact with the spectators. Jeff Moore, head professional at Bailey Ranch, said he was preparing for a busier week than normal after the flood of reaction Sunday. He said a point of emphasis for all courses is making any new or returning golfers feel welcome. Moore said the industry as a whole and Bailey Ranch in particular are focused on making any golfers who want to take up golf or renew playing feel welcome. The game suffered from an image problem of snooty pros looking down their noses at customers but has been working hard to erase that through friendly customer service and a variety of programs designed to engage all golfers. “We’re doing everything we can to make golfers feel welcome and discussing if there is anything new we want to add to take advantage of the interest Tiger is creating,” Moore said. Pat McCrate, whose company operates both LaFortune Park and South Lakes in Jenks, was working the counter at LaFortune Park back in 1986 when Jack Nicklaus made his historic Sunday run to win at age 46 and said the two days brought a similar emotional reaction from golfers. As for Woods victory, McCrate has not always been a huge Woods fan but was mightily impressed Sunday. McCrate said he was texted a picture of a family friend, a bearded truck driver who had not played for years, with his Tiger Woods hat on after the victory, saying he was ready to head back to the course. Can golf keep him this time? The key is making sure golfers fall in love with the game and its wonderful attributes and not just experience Tiger fascination. You know you’ll never dunk like Michael Jordan, but could you hit the same shot Tiger did on the par-3 16th yesterday and watch it trickle to the cup? Maybe and that’s part of golf’s endless appeal. Hopefully golf as a game at the grass roots level can take better advantage this time of this amazing human interest story Woods has created.